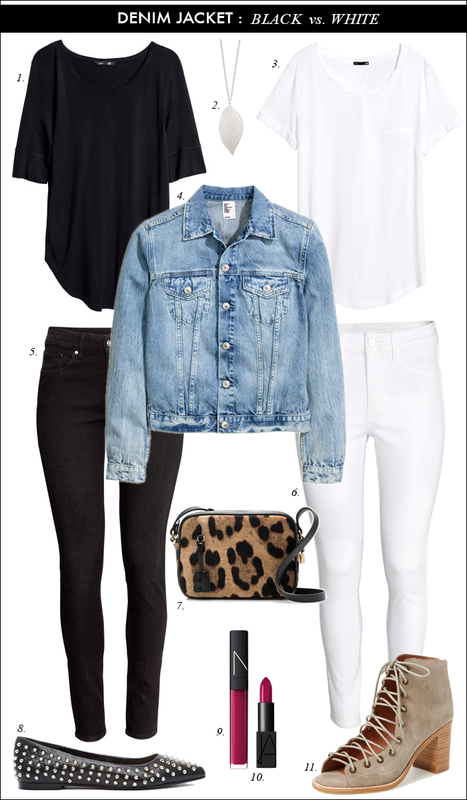 Two ways to style a denim jacket that would be perfect for fall. Also, if you are looking for some really cute booties for fall - that are really comfortable and will get a lot of compliments - I definitely recommend these. Every single time I wear these, I get a compliment. I think I would be lost without my denim jacket. I can honestly say that it's the most own piece that I own. I love it. These are great classic looks! I can't wait to start wearing denim again! Love both looks so much, perfect transitional outfit choices!! I love both the black and white versions, but if I have to choose I'd pick the black skinny any day! Love a nice denim jacket. Great looks. Such a good idea to take a monochrome look and add a jean jacket. Great inspiration from two stylish ladies too. I'm going to try both of these when it cools off enough to wear the denim jacket! I love how you style both of these...the bags, the shoes and those earrings - so cute! 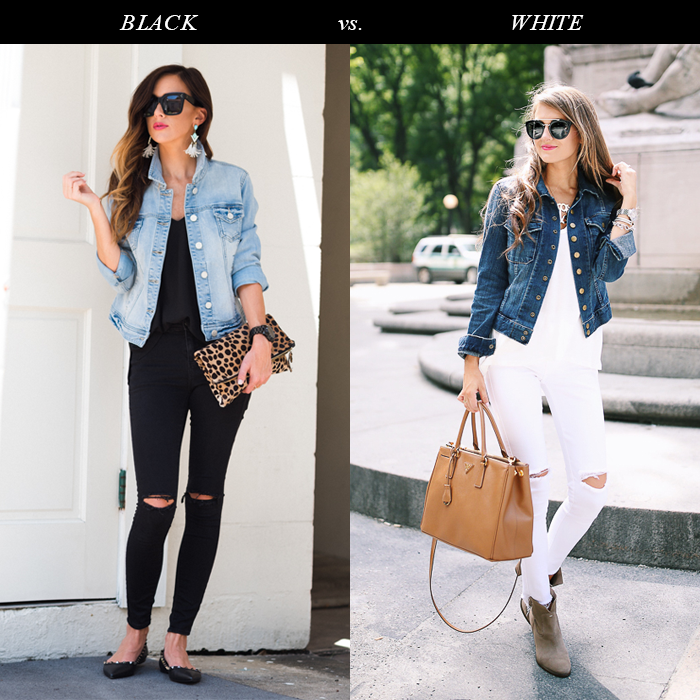 I like in the inspiration photos how the lighter denim goes with the black and the darker denim goes with the white! I LOVE my denim jacket and wear it constantly. I love both of these looks and would happily wear either one. Love that leopard clutch!